Historic Long Island: House was built ca. 1819 by the poet's father. Listed on the National Register of Historic places. 19th-century authentic furnishings, audio-visual program, tours; picnic site. The Walt Whitman Birthplace State Historic Site includes the 1819 weathered farmhouse where the great poet spent his childhood years. 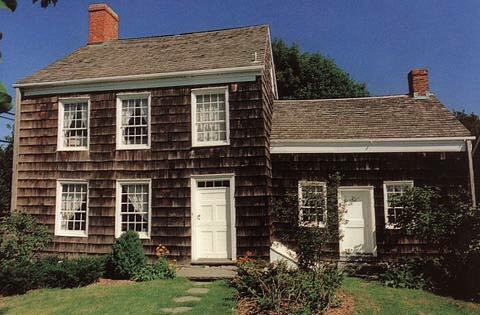 Long Island's only New York State Historic Site, the house built by Walt's father contains 19th-century furnishings, Whitman's schoolmaster's desk, and changing exhibits of Whitman material, including photographs, books, and excerpts from his writings and letters. The birthplace it listed on the National Register of Historic Places. Guided tours feature an audio-visual presentation and Walt Whitman's recorded voice on a wax cylinder. Maps are available for a combined auto-hiking tour of Whitman-related sites in historic and beautiful West Hills, including Jayne's Hill, the highest point on Long Island. Gift shop and research library. Picknicking is permitted. Allow one hour. Poetry workshops, readings, and concerts are offered. A new Interpretive Center featuring an exhibit by the renowned designer Ralph Applebaum (of U.S. Holocaust Museum, American Museum of Natural History, etc.) and The Stein Partnership, architects of Women's Rights National Historical Park, is scheduled to open in the spring of 1997. 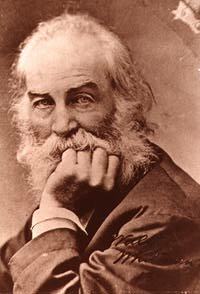 Major Collections: The Association maintains a library of Whitman material containing 400 volumes, mongraphs and catalogs--some of them rare--and makes them available to scholars and the general public. "The Good Gray Poet" after the Civil War. From Long Island Expressway Exit 49 or Northern State Parkway Exit 40, go north on S.R. 110 approximately one mile; look for signs indicating a left turn onto Old Walt Whitman Road; the Birthplace is on the right. From S.R. 25, go south on S.R. 110 approximately 1/2 mile to Old Walt Whitman Road, which branches off to the right; the Birthplace is on the left.